Saturate Audio with just less than 20 releases manage to become one of the best record labels in the trance scene with continuous presence within the Beatport Top 100 chart. Each and every release has the quality stamp that its owners ensure. Basil O’ Glue and Styller seems to be knowledgeable in which road they are going and their choices of the original artists and the remixers seems to be very wise. 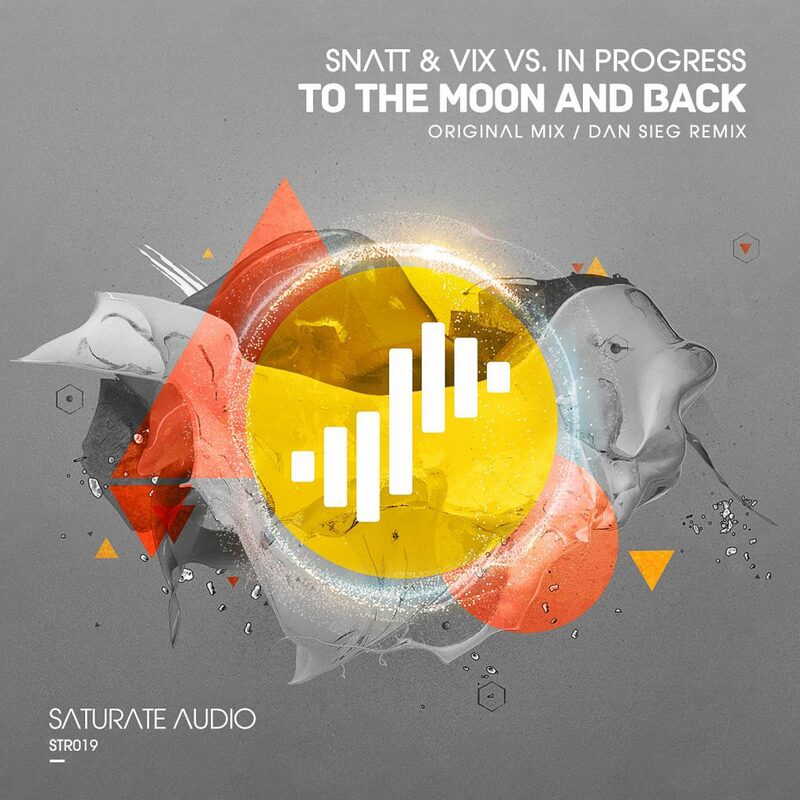 The release number 19 is the exceptional duo Snatt & Vix from Romania and the upcoming In Progress. The result of their collaboration is the summery progressive trancer To The Moon and Back. Its true that this release is more upbeat, colorful and optimistic in contrast with the previous darker releases. The chunky housey infused grooves, the electro touched basslines, the gated female voices, and the cinematic breakdown that is followed by massive synthy stabs ensure that the crowd will go ballistic to it. Its the kind of track that changes the mood and gives the lost smile to anyone that will experience it at home or during a neo trance set. Dan Sieg Remix is the version that the followers of the dark and deep melodic prog trance meets house sound will like. Its very calming, relaxing and carries away the spirit easily for another out of the human body excursion. Particularly watch out for the breaks/ambient breakdown magical moment. Close your eyes and visualise the shapes and sizes of Saturate Audio. Love IT.